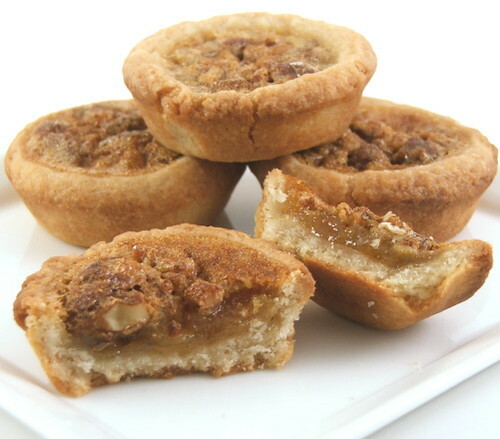 I have a love affair with little pie shaped cookies. 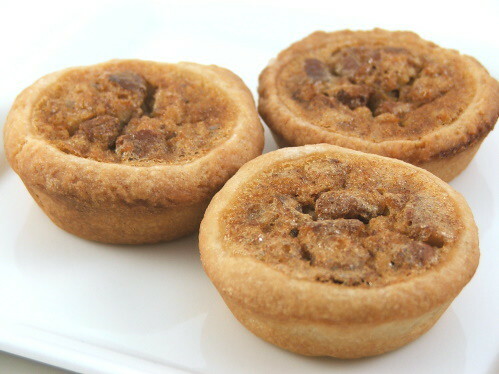 This time it is cookies that are in fact tiny pecan pies! I adore them, with their little nubbly tops and their gooey centers. These are lovely for dessert with a cup of coffee, make a lovely gift wrapped in a pretty bag, or are perfect for a dressed up gathering drizzled in a little dark chocolate. They also freeze very well making them a great make-ahead cookie. I used Golden Syrup in the filling, but if you can’t find it you can just as easily use corn syrup. 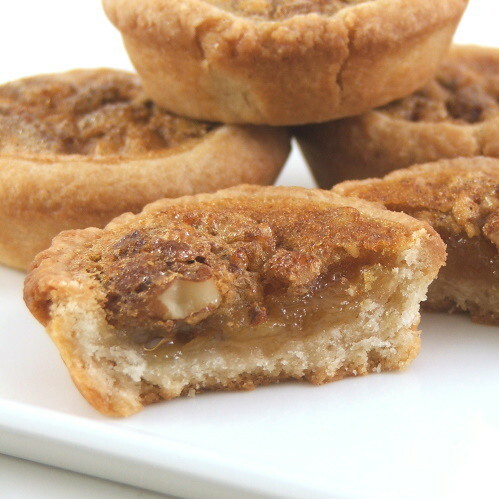 The Golden Syrup gives the filling a nice round flavor, and a buttery finish that corn syrup can’t match. 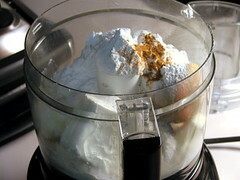 In the bowl of a food processor combine the flour, butter, sugar, milk, vanilla, cream cheese, and cinnamon. Pulse until the mixture forms a shaggy dough. Turn out onto a lightly floured surface and form into a ball. In a medium bowl combine the butter, sugar, golden syrup, vanilla, flour, and egg until well mixed. 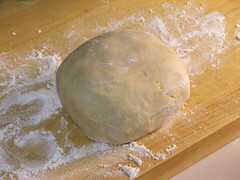 Divide the dough into 30 even pieces. 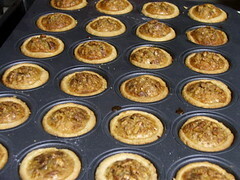 Press the dough into the cups of a mini-muffin tin using your fingers, or a dough tamper. 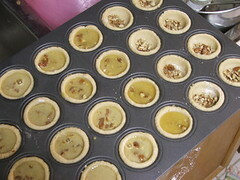 Divide the pecans amongst the cups and then top with the filling until it nearly reaches the top of the cup, about two teaspoons. Bake for 20 to 25 minutes, or until puffed all over and golden brown. Allow to cool in the pan for ten minutes then transfer to a wire rack to cool completely.